Following recent hosting problems and a domain name price increase, I decided to let FreeParisWalks die a peaceful death - and launch Invisible Paris Walks in its place! 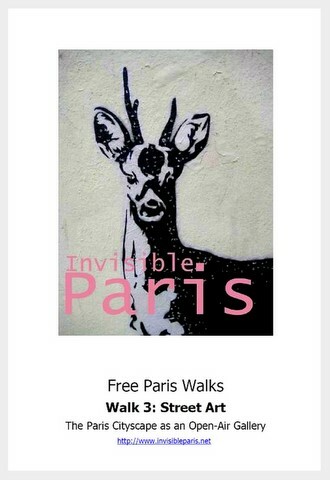 My initial idea - that these walks should be available for free - still stands, but they have always been branded Invisible Paris, and putting them on a site with this name makes sense. 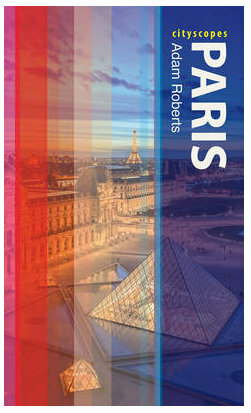 As they are also available, for a small price, for smartphones and tablets, the 'free' label is not 100% accurate either, but Cheap Paris Walks doesn't have such a nice ring to it! Secondly, I didn't make sense for me to offer something for free, but for such a service to cost me money. By running the site on Blogger and hosting the walks on Scribd though, I can once again make them available without anybody having to pay a penny. The three walks, Women in Paris, Contemporary Architecture and Street Art, have not changed, but I hope that they will soon have some more brothers and sisters. Themes, locations and ideas are not lacking, but creating a walk is a complex and time-consuming labour of love. I also occasionally get asked if I organise walks myself. The answer to this is unfortunately not, simply because I don't have enough time available. This though was one of the principal reasons for creating these walks in the first place. I can't personally show you around the city, but I can give you the tools for you to do it yourself - for free!